Mere hours to December…I could be lazy, not post this, and count it as my December post, but I’m not going to! Because it’s so short as is. Anyway. Life continues. There will be a good bit of December travel, possibly a bit crazy making, but overall, I think it will be some good visiting time. New sofa arrived, which raises the question of what to do with the old one. We had the fairly obvious idea of putting it in another room, but it turns out it simply does not fit through any of our normal doorways. Like, really not. The downstairs main rooms have some bigger entryways, so it wasn’t an issue, but …yeah, no. Of course, being un-careful in this instance, we didn’t choose to measure the doorways until after we wrestled that thing upstairs, so now it is, ah, overfilling the landing. Nothing to see here, move along. Anyway! This intro par got longer than anticipated. 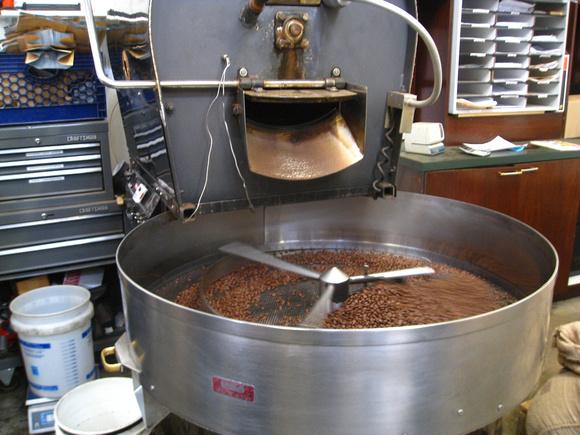 Below the cut – some brief notes and a few photos of a coffee cupping we went to in September 2011!